Originally from the largest city in India, Candace Kratzer could never have guessed that she would end up living on the rural outskirts of Tucson, Arizona with a herd of 9 horses. Most of the horses came lost and broken, but they were put back together at the Karuna Horse Rescue. 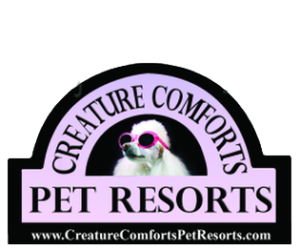 Established in 2015, and having gained 501(c)3 status in December 2017, this rescue is a “non-use, non-riding” organization. The only job the horses have is to heal, aided by Karuna’s dedicated founders and volunteers, or as they refer to each other- family. It all began with 23 year-old Dolly. With severely overgrown hooves, and living alone in a paddock located prominently along La Cañada Drive, the stocky Haflinger draft mix was a well-known sight. Candace felt drawn to her; she began to pull over for visits, and to fall in love. She eventually talked Dolly’s owners into selling her. Kratzer tried a few boarding facilities, but they just weren’t the right fit. 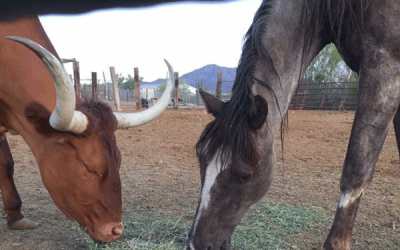 Finally, Kratzner, along with her husband, Karuna Horse Rescue cofounder and director, Paul Kratzer, their children, and Dolly settled into a three-acre property on Tucson’s Northwest side. Before long, the family began to grow. The Kratzers soon heard about two horses in a Louisiana kill pen. The “kill pen” is an auction where horses are sold to foreign horsemeat operations. 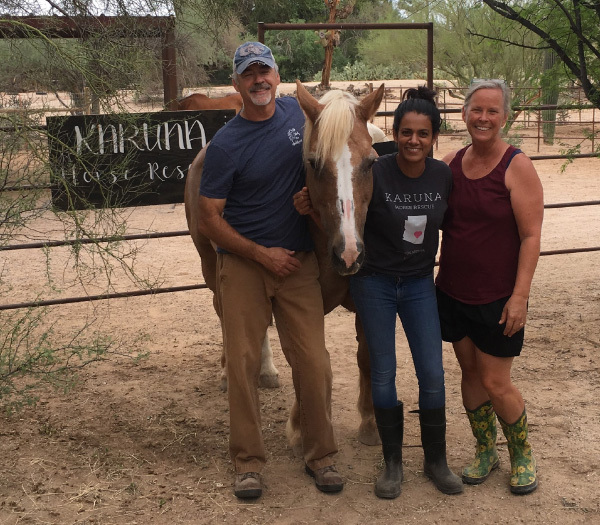 The family quickly posted bail, arranged for transport to Tucson, and, within days, the horses became the second and third members of Karuna’s resident herd. Both were emaciated and weakened, but have since made remarkable recoveries. Along with Dolly, Floyd fell in to the role of mentor, gently welcoming newcomers to the rescue. The lovely Ella became the herd’s protector. Of the four original Karuna residents, Sawyer was the last to arrive. Also from a Louisiana kill pen, he came with his pregnant mother when he was nine months old. Both were in rough shape, but Sawyer’s mom was unable to recover from her advanced emaciation, and she passed away shortly after they arrived. Fortunately, the herd welcomed Sawyer, and he took to his new family easily. Today the sweet boy with slashes of blue in his deep brown eyes is known as the resident trickster and mischief-maker. From his tragic start, Sawyer has grown into a happy-go-lucky comedian, thanks to Karuna. Head volunteer (or family member) Sally Miller, who teaches English when she’s not busy caring for the Karuna herd says that, “Any reason a horse could be in rescue, we’ve seen.” She goes on to explain regarding the damaged souls who arrive in rescue, “There is a horse in there, an original being that comes back.” The amazing recoveries and overall success of the Karuna herd can be attributed to their unique approach to the human-horse dynamic. 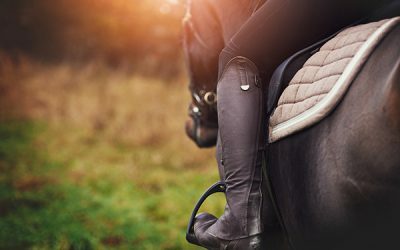 With little previous horse experience, Candace developed a specific understanding of the way she wanted to relate to horses after seeing the documentary Path of the Horse. The film stresses the importance of respect and equality between horses and people, rather than dominance and submission. 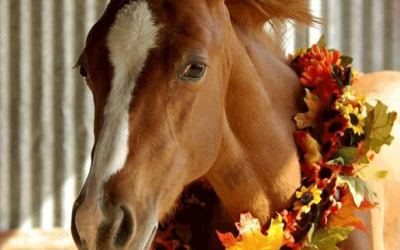 This was the seed for the philosophy behind Karuna Horse Rescue. 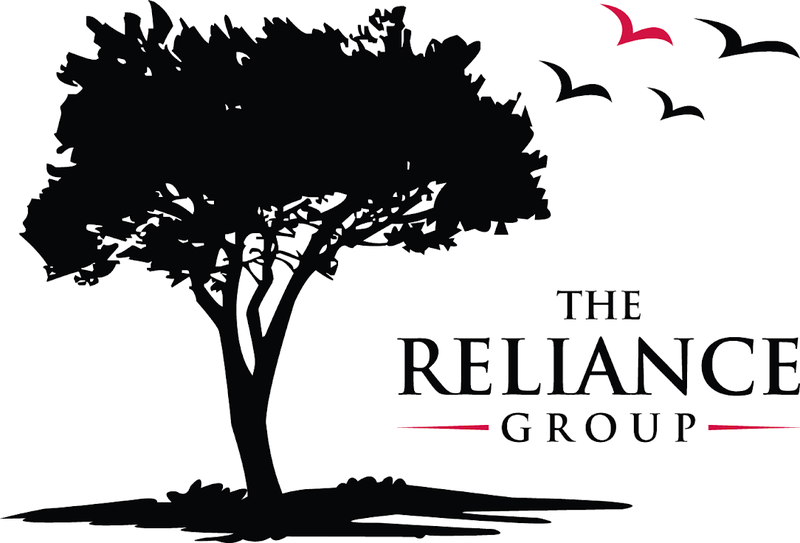 The name of the organization is a Sanskrit word meaning compassion and action. Candace explained that they are trying to get away from old ingrained ways of relating to horses and are finding new and different ways to care for them. They try to use restraints only when strictly necessary and are even able to give baths without a lead. The social harmony fostered by the Karuna way allows the herd to live unseparated and to browse freely together from slow feeders. The only horse spending time alone is the rescue’s newest resident, Gene. Well on the mend now, this gentle boy’s story almost ended in tragedy. His namesake, a man named Gene from Rio Rico, called when he found the horse dumped, barely clinging to life. Upon hearing of his condition, Candace feared euthanasia would be the only option for Gene. He was emaciated beyond belief with large festering sores, and couldn’t get up, but they decided to try to help him anyway. His ribs and hipbones are still somewhat prominent, but he is coming back to a healthy weight, and his wounds are mostly just scars now. He ambles happily to the edge of his paddock to greet the people coming to visit him.